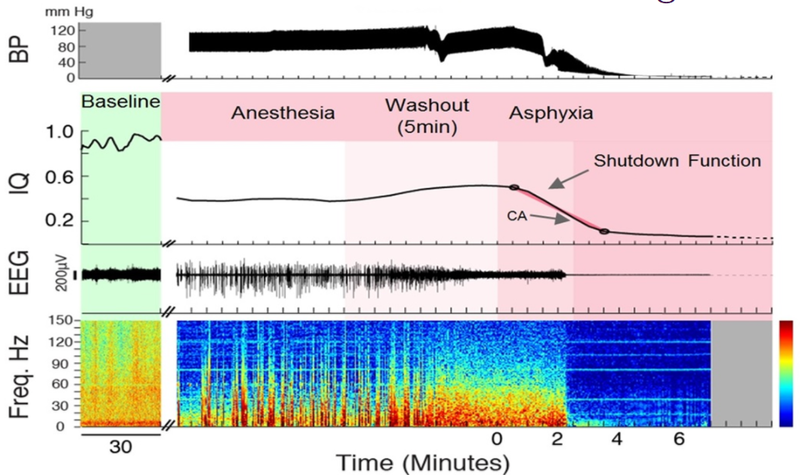 Loss and gain of consciousness during CA + CPR including changes in brain connectivity using quantitative EEG analysis and optical techniques. ​The field of consciousness remains highly intriguing to neuroscientists and clinicians despite remaining a challenge to study based on how it is defined and investigated. Often, clinicians wonder whether a patient is conscious or not. For example, some patients may be under anesthesia or have acute brain injury and remain semi-conscious, aware of their surroundings. It is important to understand, identify, and track consciousness so patients are treated humanely. Our research laboratory studies both anesthesia-induced loss of consciousness as well as cardiac arrest-induced loss of consciousness. Dynamic states of consciousness allow us to investigate each state and transitions between states of consciousness. 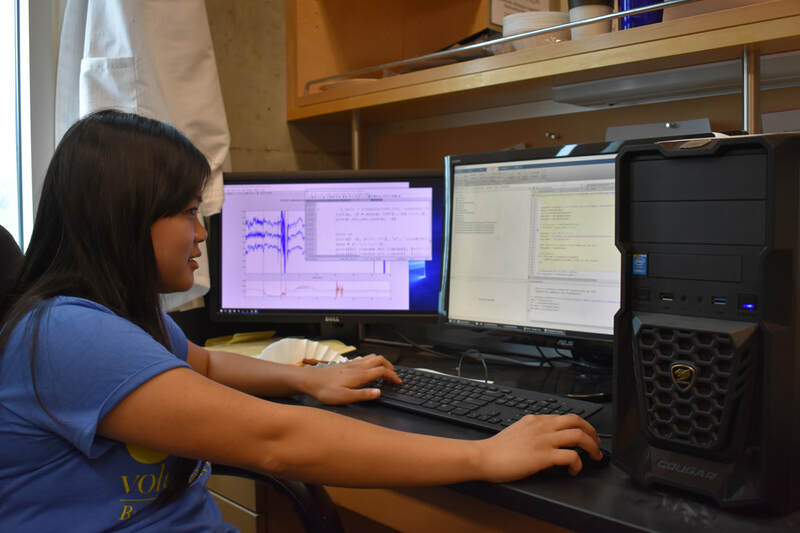 Given our ability to record EEG/ECoG on our humans and animals, we are able to conduct quantitative EEG analysis, something we have established in our lab in collaboration with Prof. Beth Lopour in the Department of Biomedical Engineering. Our recently published manuscript (Lee et al, 2017) demonstrates quantitative EEG-based markers of consciousness during the induction of CA, including when EEG is near-electrocerebral silence (when brain activity is nearly “flat-lined”), which is traditionally thought of as lacking consciousness. We also incorporate optical imaging of CBF and brain metabolism in conjunction to EEG changes during CA+CPR. Most importantly, we are investigating whether such markers of consciousness have any impact on neurological recovery after resuscitation. To optimize the translational impact of our preclinical research, we are planning for a clinical research study to help patients suffering from disorders of consciousness in the Neuro-ICU.